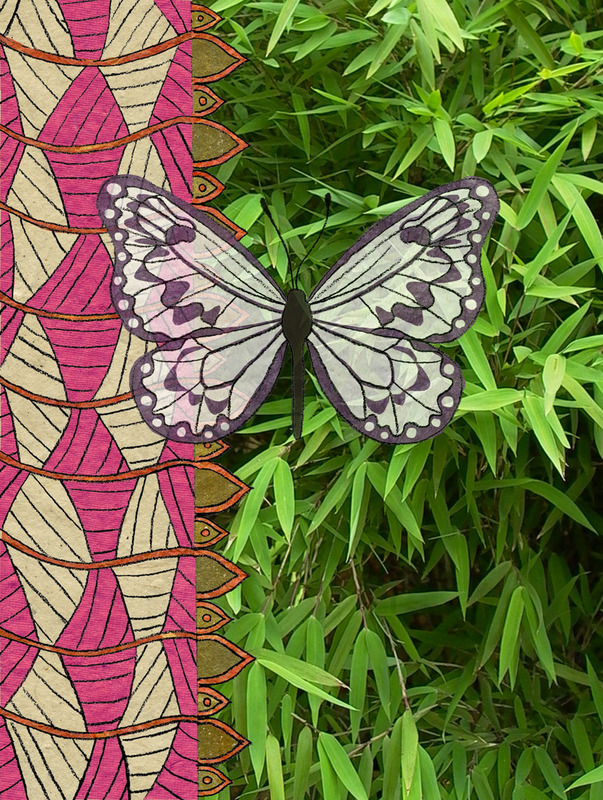 A love of textiles and world culture inspired this series after a visit to New York City’s Natural History Museum. 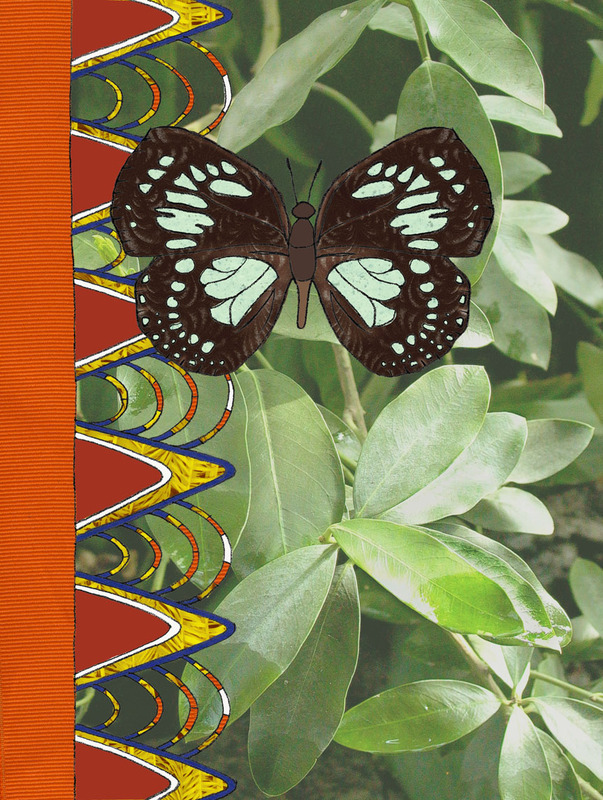 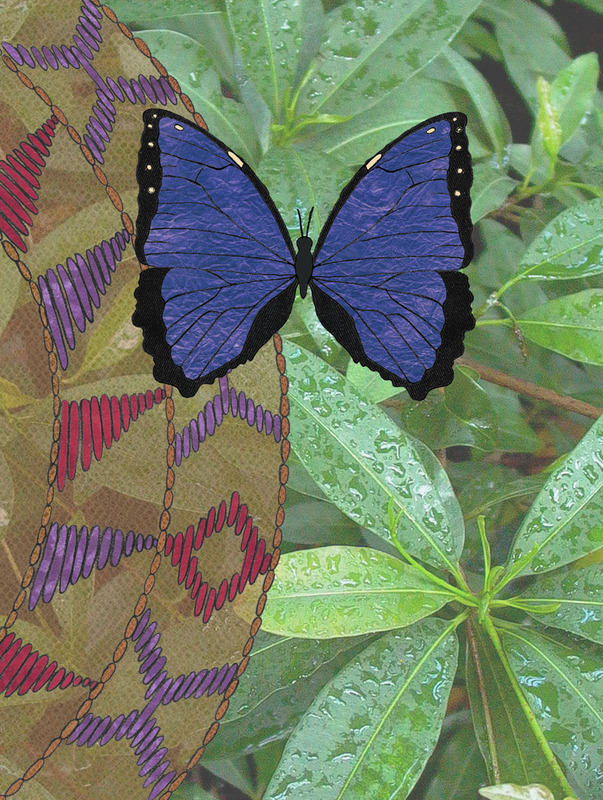 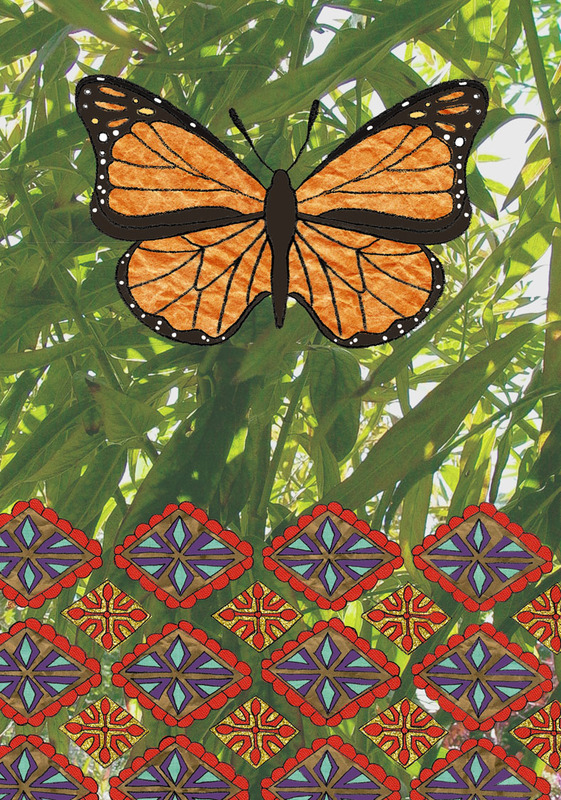 Each butterfly floats above an original photograph of its natural habitat and the borders represent textile patterns created by craftspeople or tribes native to the area. 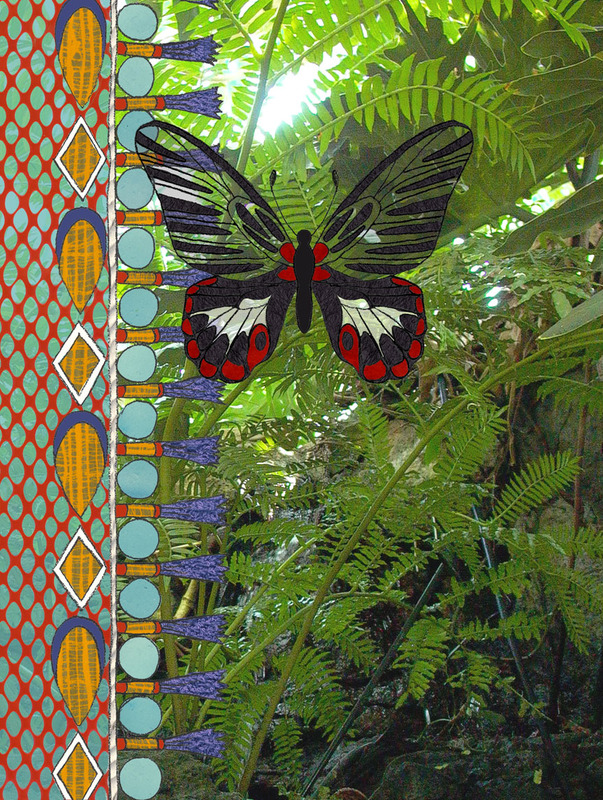 Butterfly: Scarlett Swallowtail; Habitat: Rain forest, coastal lowlands; Border: Ati Ahan festival costumes and decorations from the Philippines.